One September, when my first born was just a baby, we started noticing masses of cars parked on our roadside. Alongside the cars were people crouched under trees with buckets in hands. They seemed to be doing something very important, but a mystery to us. 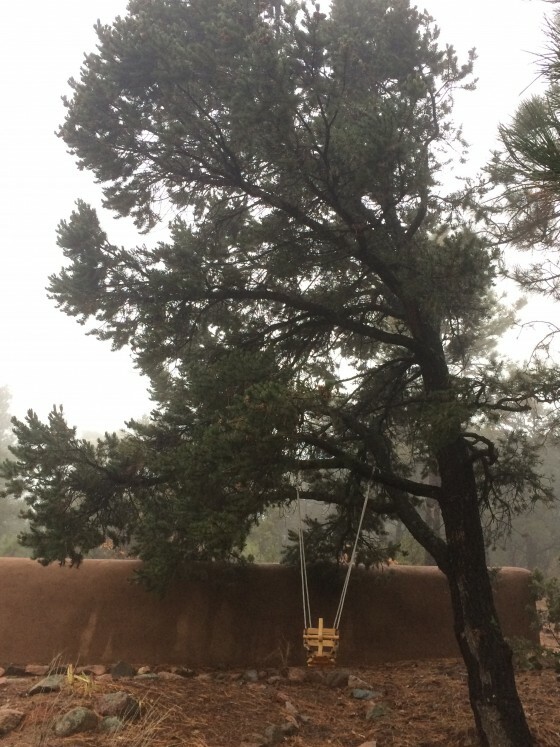 We came to find that these people were picking the piñon pine nuts. How I love Northern New Mexico, full of deep history and tradition, a place where people still do things like sit under trees for hours to come home with a small basket full of nuts. Foragers of the wild things of the earth…Oh, the richness! I could cry for happiness to see such a sight…humans still being human. Not only are the pine nuts special, but the trees themselves are something magnificent, as my husband claims. With sturdy trunks and branches that twist and turn in the most artful way, these trees just have a certain mystique. 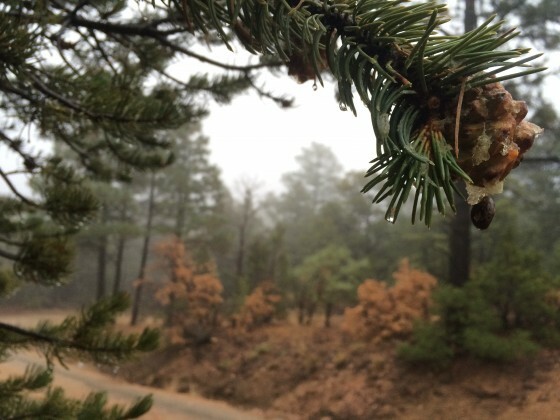 The female piñon tree pine cones open themselves to reveal the precious nut. The trees then proceed to spill and scatter the nuts, ready for animal kind to claim. 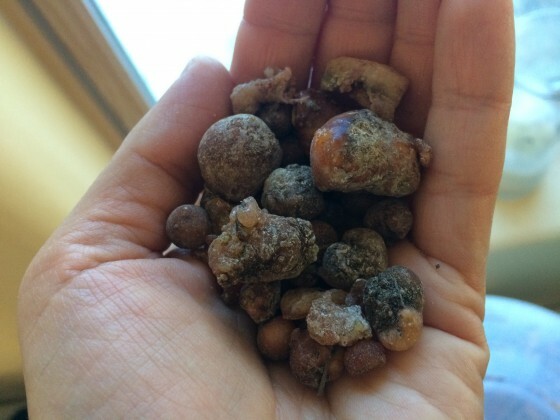 Around every 7 years the trees produce enough large pine nuts to be worth harvesting. And these are not the pine nuts you buy in the store, these are New Mexican piñon nuts, a with a unique flavor all their own. 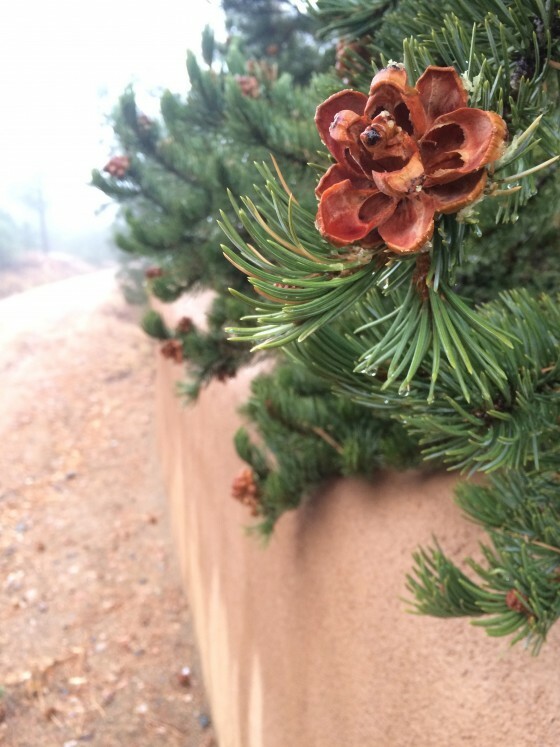 Imagine the piney aroma of a cool crisp walk through the foothills of Santa Fe on a fall day…now put that scent into a sweet rich little seed and that is how they taste. 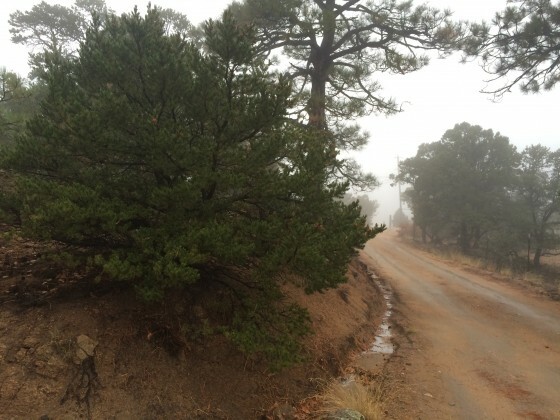 Piñon pine pitch resin, or piñon sap can also be harvested from most piñon trees. It can be burned on a bed of coals as an incense, or used for making salves to heal skin. 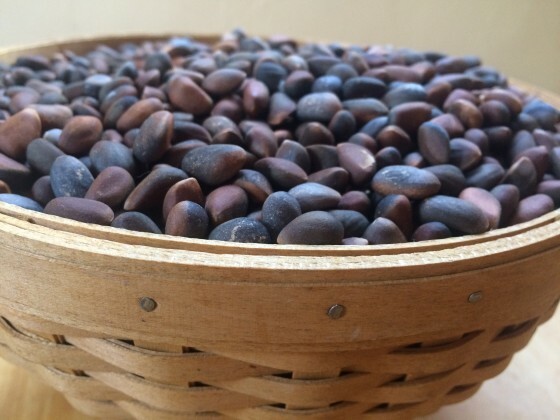 Piñon nuts are also a great source of Omega 6 fatty acids and contain a wealth of antioxidants. They contain the lutein, which helps prevent macular degeneration of the eyes. 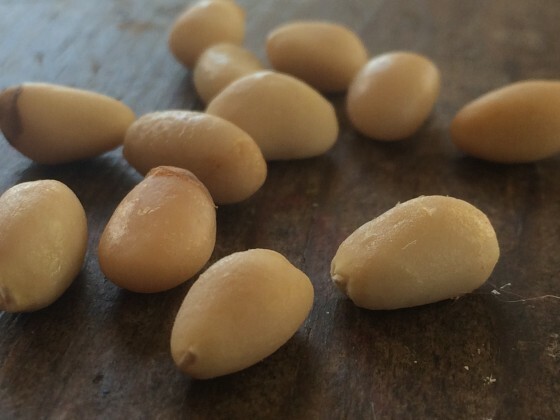 Piñon nuts protect against heart disease and help to support healthy cholesterol levels. They are totally delicious roasted in a cast iron skillet with a little salt. So, what is not to love about these little guys? Alright, come on out in about 7 years or so and we will sit under a tree together, watch the kids run, and pick a basket full! Perty nifty, and done with some high technology I see. Such beautiful misty pictures, and so well said. Humans being humans, indeed. We have been savoring the nuts from your trees.